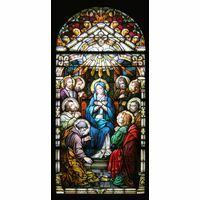 This is a radiant stained glass panel that fits perfectly as a stained glass window or stained glass door insert in a church or home. 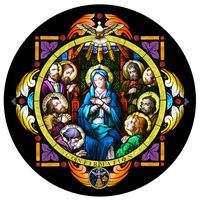 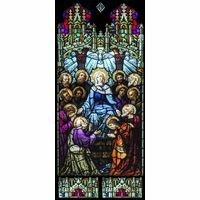 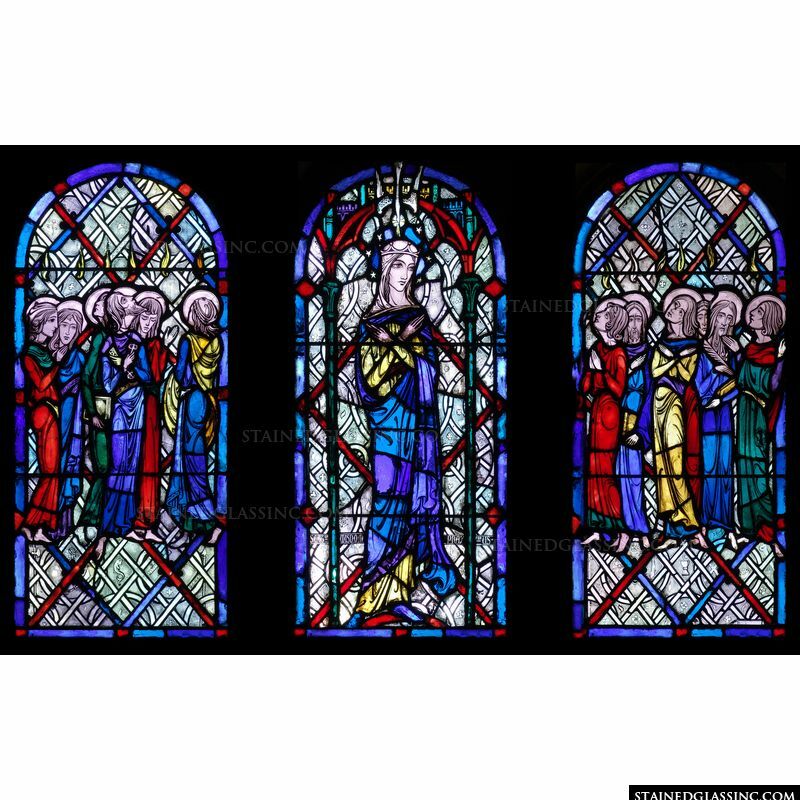 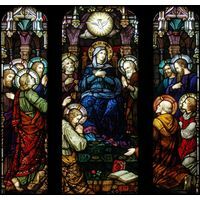 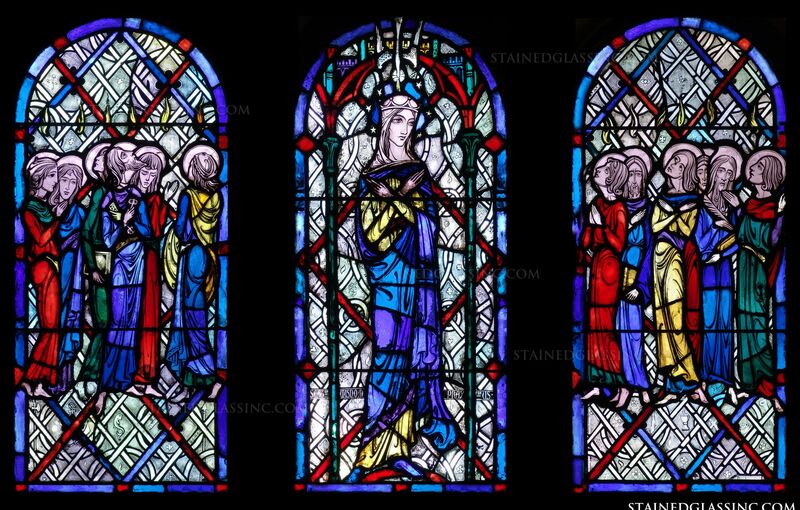 It offers a glimpse of Mary as she is surrounded by Christ's followers and includes a wide array of vibrant and lush colors and shading, which adds depth and life to the stained glass art work. 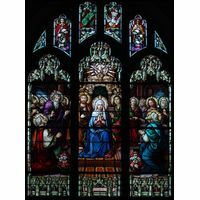 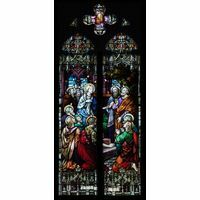 There is a meticulous attention to details in all the expressions and forms within the stained glass art panel, bringing this scene from the Bible to life for all who view it.